New Books & DVDs Available For Check Out! Click here to see the new books and DVDs available to be checked out from our library! 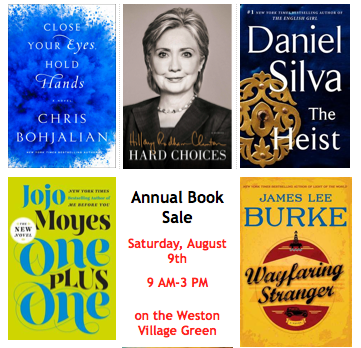 Book Sale This Saturday-August 9th!